We’ve seen a lot on travel blogs lately about taking a family cruise as a holiday. Cruising has changed dramatically in the last few years, and a cruise holiday is no longer seen as the sole domain of well-heeled retirees. 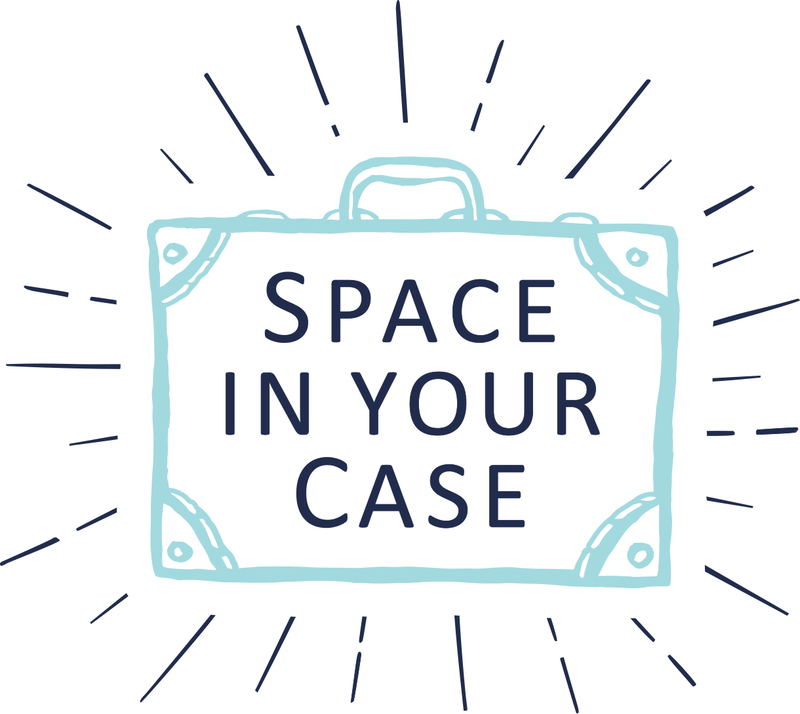 Space In Your Case’s Penny travelled with Carnival Cruises last year, and is a firm convert, having never cruised before, so it’s a holiday option we’ve all had in the back of our minds since. That said, we know that it’s sometimes difficult to get past the stereotyped image and the preconceptions, so we took your questions about family cruises and put them to Cruise 1st, a travel agency specialising in cruise deals. What do you have to offer families that are unique to Cruise 1st? Firstly, we’re all massive cruise fans – all of our team live and breathe cruises, and we really do know our stuff. 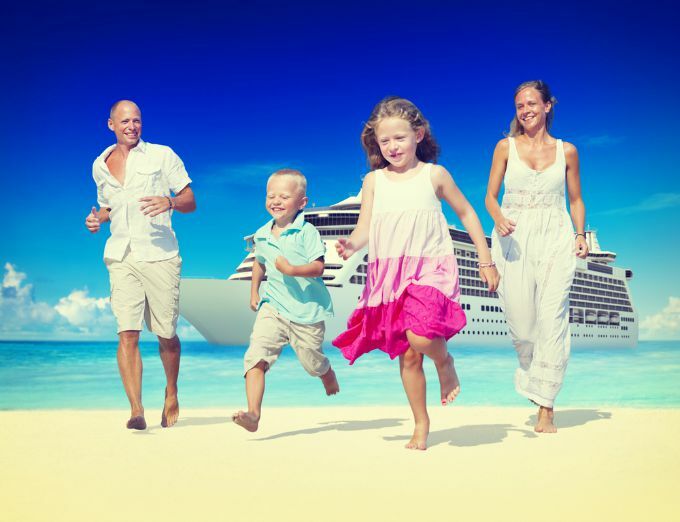 We work closely with a range of family-friendly cruise lines, and are well placed to provide our customers with the very best family cruise deals – many of which are exclusive to us. We’re also clued up when it comes to cruising with kids, and can answer any and all questions concerned parents might have about taking their little ones on this kind of holiday. What would you say are the three main benefits to cruising as a family over a traditional beach holiday? I’m worried about cruises being snobbish, with black tie and cocktail dresses required for dinner. Is that still the case on family cruises or are things a little more relaxed? No. The ship has two formal nights, formal doesn’t have to mean a cocktail dress and tux though, smart casual is fine too. The kids were less keen and went to a party at Camp Carnival instead, but It was a great opportunity for a grown ups night out, me in my Boden number and Mr A in his wedding suit. Are things like drinks and snacks included in the overall cost of a cruise? “All inclusive” doesn’t necessarily mean free when it comes to cruising, as many items on-board incur charges; this can make it difficult to determine what’s included in the fare and what isn’t. Usually, food consumed in the ship’s main dining areas is included, but will cost in alternative eateries. On the other hand, most drinks – including alcohol and juices – will cost extra whether you order them in dining areas, bars or via room service. Is it OK to get on and off the ship – even if you don’t book excursions on-board? Yes, all passengers are entitled to disembark the ship whenever it makes a port call, regardless of whether you’ve booked an excursion. Whilst we’d encourage you to book some excursions during your holiday, it can often be just as rewarding to spend some free-time exploring on your own terms. Remember – you’re not obliged to book excursions with the cruise operator; independent daytrips can be booked easily during your time in port, and they often prove considerably cheaper than those booked with your cruise line. How much do you have to tip the staff? Tipping is a cause for controversy among many cruise-goers – as well as the cruise lines themselves. While by no means mandatory, tipping is considered good etiquette on most cruise lines, as cruise service crews are often very poorly paid; relying on bonus gratuities from cruise passengers to earn a decent crust. Some cruise lines however, pay their staff well, and this is often reflected in the overall price of the cruise. If you’re in any doubt about when to tip and how much to put leave, opt-in to the automatic, pre-paid gratuities scheme which is available on most cruise lines. How do kids’ clubs contact you if there’s a problem, and how flexible is pick-up and drop-off? Crèches and kids clubs are a popular option for weary parents in need of a break, and most family friendly cruise lines offer superb childcare services across their fleet. Depending on the cruise line, childcare staff use a number of different forms of communication to contact parents, with the most traditional method being a phone call to the cabin or a loud-speaker announcement. During the day, pick-up and drop-off of children is usually fairly flexible, but can vary at night – with some cruise lines charging a fee past a certain time. Do cruise ships feel crowded, like you can’t get away from the other people on board? We may be biased, but no – cruise ships don’t feel crowded, small or claustrophobic in any way. Modern ocean liners are colossal, with masses of light, airy space for guests to enjoy. Even the largest ships, which have a capacity of over 3,000 passengers, don’t feel congested. On the contrary, their sheer scale makes it easy to escape the throng when you need a little me time. Some ships have specific “sanctuary zones”, where it’s possible to relax and unwind away from hordes. 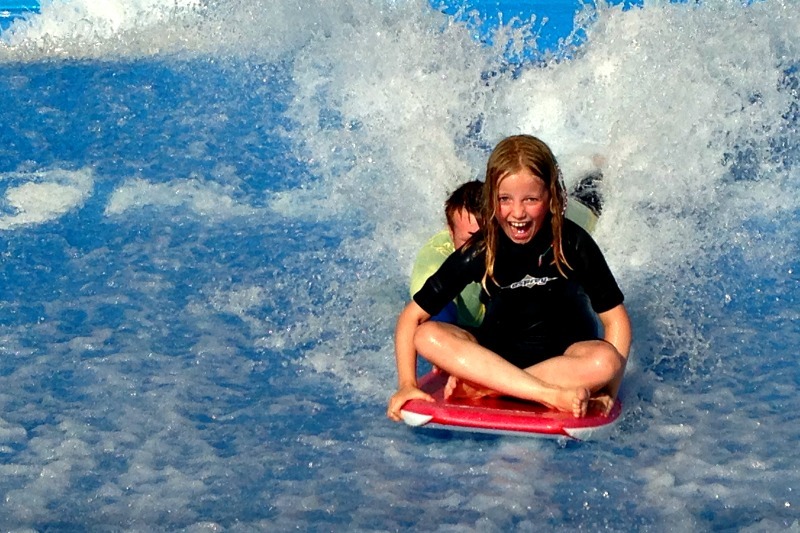 It absolutely depends on the ship you choose – all have a pool of course, but the more family-friendly ships have many energy-burning activities on-board to tire little ones out, from rock climbing walls to dodgem cars and everything in between. Are there children’s menus in the restaurants with food that the majority of kids will actually eat? Cruise holidays are a dream for parents dog-tired of a picky-eater. Most ships have at least three different dining options, with buffet-style dinners available aboard most vessels. Children’s dining options are plentiful aboard most family friendly cruise ships – making it a breeze to satisfy even the fussiest of diners. I have safety paranoia. How will I be sure that my crazy preschooler won’t be able to leap over the side? Tell me I’m ridiculous, please! With multiple tall railings wrapped around the exterior deck of every cruise ship, it would be very difficult for a preschooler to climb – let alone leap – overboard. Railings are designed with a slight inward tilt, making them difficult to climb even for an able-bodied adult. Cruise lines invest millions in making their ships safe for passengers, but if you have any further concerns regarding the safety of your child, contact your cruise line for further reassurance on the safety measures they have in place. I’ve always assumed that cruises are crazily expensive. Once you’ve factored in trips on land, food, drink, entertainment etc. How do they compare with other holidays? Like any holiday, the total price of a cruise depends on a number of factors – including destination, duration, personal spending allowance and the number of mouths you have to feed. Sure, if you booked lots of excursions and seriously binged at the bar, the bill would start to tot up – but this is true of any family package holiday. Budget appropriately, and it’s possible to enjoy a cruise for the same price as a mid-range family getaway. My question is: Is there much for teens to do? Is there wi-fi? Keeping teens entertained on holiday is often harder than taking care of little ones – especially if they’re glued to their mobile. Thankfully, many modern cruise ships do offer Wi-Fi via satellite, so your little darlings can Facebook to their heart’s content. But be warned – it’ll cost you. Satellite internet is notoriously expensive to run, and cruise lines hand the full expense of doing so to passengers. Expect to pay around 35p per MB of data used. There’s other stuff for teens to busy themselves with too, including games consoles, pool parties, activities (take a look at Royal Caribbean’s FlowRider) and the classic 90s favourite, roller discos. At Space In Your Case we’ve loved reading blog articles about your experiences of a family cruise, and we can vouch for the level of fun activities on Royal Caribbean, having read Katy Hill’s experiences of a Royal Caribbean cruise with her children. An ice rink? A zip wire? Count us in! 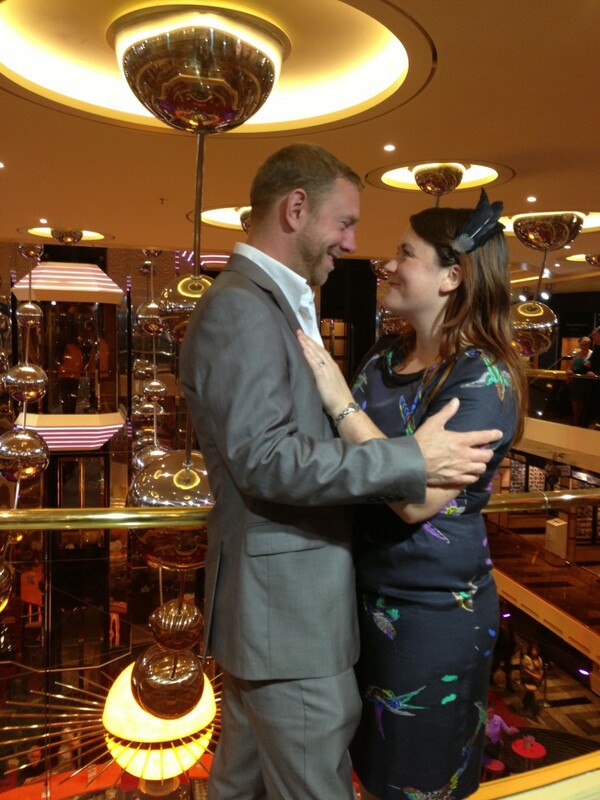 You will find more Q&A’s on family cruises over on Penny’s blog. Thanks to Cat’s Yellow Days, Rainy Day Mum, Being Mrs C, Jennifer’s Little World, Mummy Alarm and A Modern Mother for contributing their family cruise questions. Family cruise image from Shutterstock.